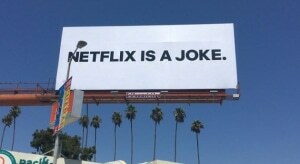 Netflix is experimenting with ads for its original content in between TV episodes and its sparked panic with users. The commercials are full-screen videos which displace the regular next-episode preview screen until they have concluded or have been skipped – which some users claim they have been unable to do. In a statement to The Verge, Netflix said that the trial was to reduce a customer’s browsing time and also insisted the ads were intended to be skippable. A number users have taken to social media to express their displeasure at the feature and their vehement opposition to it being permanently implemented. One Twitter user wrote they would "cancel their subscription" and another said it was "offensive". The scope of the testing and how long it will last remains unknown, but the initial backlash from users shows that an ad-funded future could impact Netflix's growth.